COLORADO SPRINGS, Colo. – USA Triathlon announced today that it has renewed its longstanding partnership with Running and Cycling Enterprises (R.A.C.E. ), which distributes brands Rudy Project and XX2i Optics, through 2020. Rudy Project is the premier manufacturer of helmets, sunglasses and prescription eyewear in North America for the multisport community, and XX2i Optics crafts Polarized and Value Performance eyewear for value-conscious athletes. As the Official Sunglass and Helmet Supplier of USA Triathlon since 2000, R.A.C.E will continue to provide performance-elevating gear to athletes on the U.S. National Team and USA Paratriathlon National Team. USA Triathlon annual members will be able to take advantage of exclusive offers and discounts through the Rudy Project and XX2i Optics brands on e-rudy.com and XX2i.com. 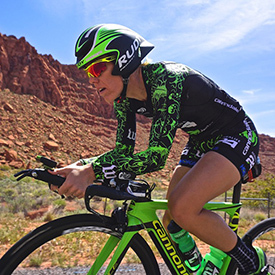 In addition, triathletes around the nation will continue to see Rudy Project helmets and sunglasses, and XX2i Optics polarized sport sunglasses, awarded as prizes at USA Triathlon events and through promotional contests. For more information about Rudy Project sunglasses, helmets, sport prescription and more, visit e-rudy.com. To learn more about XX2i Optics and see their full line of performance and casual polarized sunglasses, visit xx2i.com.